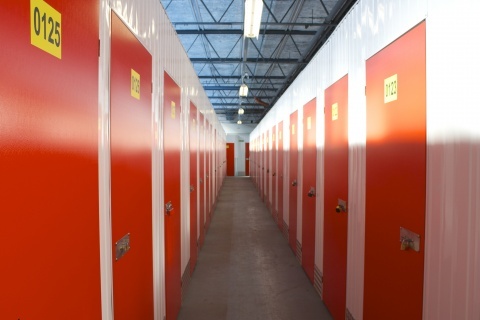 Looking for a self storage solution in Essex? Dragon Enterprise Centre and Self Storage are the industry leaders within Essex and your first choice for professional storage. 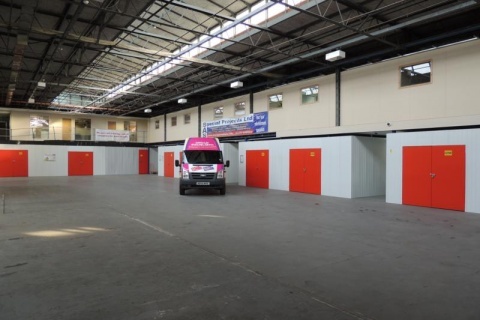 Our expertly designed storage warehouse offers ground floor access to allow customers full vehicle access to the interior, to allow for a quick and simple visit to each self storage unit. Our facilities are monitored by the latest CCTV equipment, and anti-intrusion systems have been installed to protect your assets. Dragon Enterprise and Self Storage Centre can also customise or build your unit from scratch. Just give us a call and let us know how you’d like it and we can try our best to make your storage dreams a reality! We offer a bewildering array of different sized self storage units starting at 10 sq.ft to well over 200 sq.ft. In addition we also offer a large range of packaging supplies and top grade padlocks to be used on site or as you see fit. If you’re moving home, need some extra space or are about to jetset across the world, sometimes boxes in the loft or your relatives spare room just doesn’t cut it. Dragon Enterprise Centre offers affordable, high quality domestic storage space in a range of sizes, so whether you need to store an old sofa, or the entire contents of your 2 bedroom house, we have space for you here. Our domestic self storage facility, based in witham, is perfectly situated for those living across North Essex, including Chelmsford, Braintree and Maldon. All of our storage units are clean and dry and easy to access, and you can even view it before you commit, just so you can be confident that the new home for your belongings is up to scratch. All of our storage is fully secure, and we’ll provide you with your own top grade padlock, should you need it. Packing goods like storage boxes, tape and markers can be bought from the Dragon Enterprise Centre to make your move as smooth as possible If you’re unsure as to how much space you’ll need, click here to have a look at the size guide, or alternatively, give Dragon a call, and we’ll be able to assist you. We have a vast amount of storage space available for use at our Leigh on Sea site, so if you live or work in Southend, Westcliff, Thorpe Bay, Shoeburyness, Chalkwell, Prittlewell, Great Wakering or Rochford, we are in the perfect place for you. Situated just off the A127, we have a specialist site with entrance from the ground floor, specifically designed with ease of access in mind. Dragon has designed the storage warehouse with customer safety and satisfaction in mind, which is why all of the storage spaces are fully equipped with state of the art CCTV cameras and anti-intrusion alarms, to assure you that your belongings are safe with us. The size of our self-storage units vary from 10 sq ft to 220 sq ft, (from a telephone box to a double garage), so whatever you need to put away, Dragon has the storage space perfect for you. We are offering your first month of storage with us FREE if you choose to stay with Dragon for a minimum of 6 months. Call a member of the Dragon team today for a quote or come down in person to see for yourself! If you’re looking for secure business storage within Essex we have the right solution for you. We can offer you a wide range of storage spaces, from 10 square foot right up to 250 square foot, so whether you need somewhere to store excess stock or you’re downsizing your office space, there’s a storage container for you. Security is imperative to everyone, but when you have a business to protect, the safety of your assets is of the utmost importance. We have state of the art CCTV cameras and top of the range lockers which enables us to be sure that the security of your belongings is never compromised. As well as providing office space in one of our serviced buildings, we can also provide you with workspace inside a storage area. If you are a design company or just need room to distribute stock, you can rent one of our storage spaces for whatever you need.